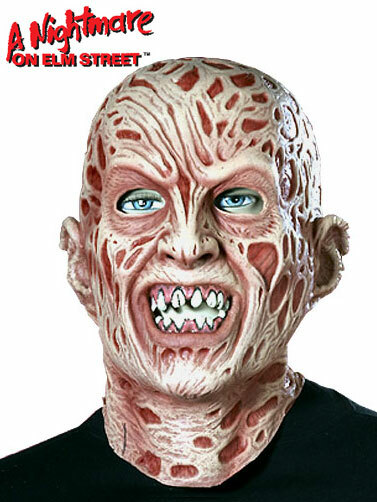 Freddy will always be a nightmare, and now you can be to when you wear this officially licensed Adult Freddy Mask. Latex mask covers your head and part of your neck. A Nightmare On Elm Street™ and Freddy Krueger™ are trademarks of New Line Cinema. All rights reserved. Adult Latex Freddy Mask is one size fits most.